Benny Hinn might just be asking himself if “this is his day” … that “day” being the one that finds him federally exposed as the fraud that the Biblically faithful already know him to be. 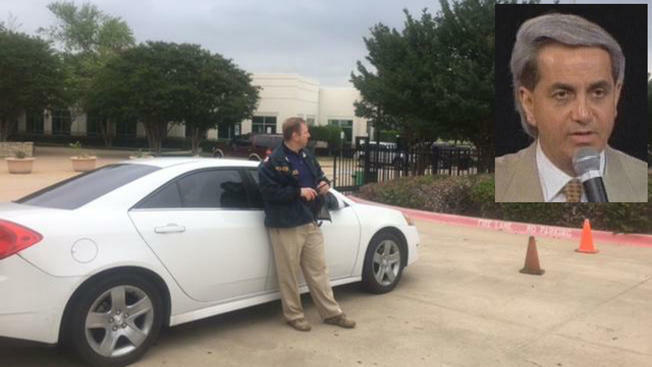 According to a news report coming from the Dallas NBC affiliate, Channel 5, federal authorities have initiated a raid on Benny Hinn’s Grapevine, Texas ministry headquarters. United States Postal Inspectors, as well as IRS criminal investigators, are involved in the execution of the search warrant. Though the Scripturally-malnourished followers of the charlatan might lack sufficient grounds to assert otherwise, we can be certain that the feds are not on the property searching for a sorely needed emergency healing. Hinn is no stranger to brushes with federal investigations, having been one of several high profile “ministries” targeted by a 2007 Senate Finance Committee inquiry. That investigation found the government focusing on six notable television charlatans, including Kenneth and Gloria Copeland, Creflo and Taffi Dollar, and Randy and Paula White. The Senate committee also investigated, besides Hinn, Joyce Meyer and “Bishop” Eddie Long. Though the Senate investigation yielded no findings of wrongdoing and issued no penalties for those ministries who failed to cooperate,(*) we can be certain that whether this current federal investigation finds culpability on Hinn’s part or not, his egregious false teaching and fleecing of the naive in the name of Jesus will find full, final justice at the hands of our sword-bearing Lord. Channel 5 reports that “The IRS criminal investigators who are on scene primarily investigate tax evasion and general fraud against the government.” The warrant was apparently executed around 9 am C.S.T. Wednesday, April 26, 2017. 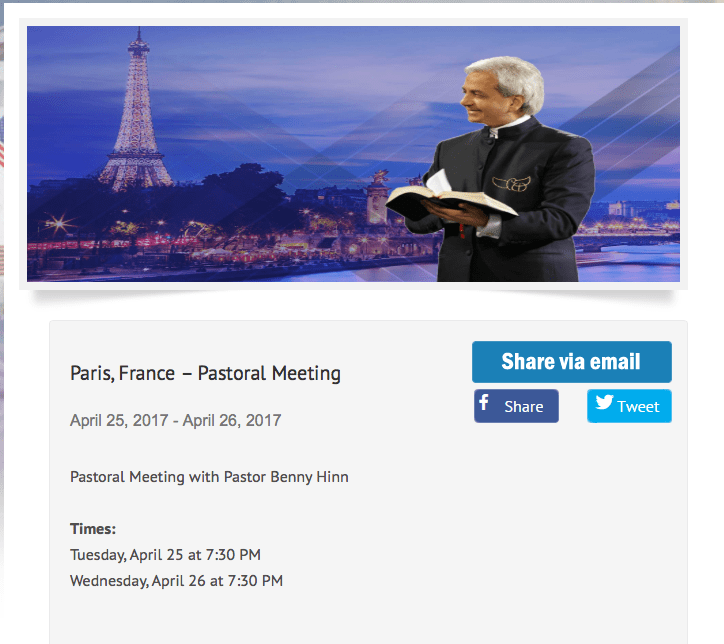 According to Hinn’s website, the televangelist is currently in France. For more on Benny Hinn, please peruse our resources elsewhere on Pulpit & Pen. Stay tuned as further information is made available from the ongoing raid. If you find our work useful and would like to support us, please donate here.